Wagan Tech and Inverters R Us have had a business relationship together for over a decade and over that time we have come to expect nothing but quality inverters time and time again from them. 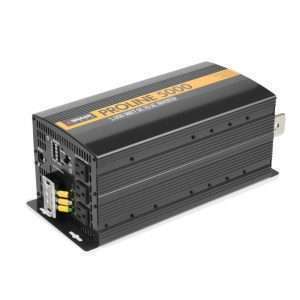 They manufacture both pure sine wave and modified sine wave DC to AC power inverters with models ranging from 100 watts to 10,000 watts. All Wagan Tech inverters feature True-rated Power. That simply means power tested and rated at a period of 24 hours continuous usage under full load. Wagan’s builds their power inverters with High Peak Surges that allows up to 3x the continuous rating to support high surging appliances. Wagan Tech uses top quality components and MOSFETsthe key factor in reliable inverter manufacturing. When choosing an inverter line, know that you are getting over twenty years of power experience and the reliability that comes from Wagan Tech. If you have any questions regarding a Wagan power inverter, please give us a call today!